What to pack on a road trip in Africa! In the early morning hours on September 5th, we started our Tanzanian journey at the airport in Arusha. After a warm greeting, our guide Jolis drove us to the Bobby Camping Safari office to handle last-minute formalities before starting our safari. And then it began! Tanzania is a large country. Even if you only traverse the Northern circuit, driving times can vary a lot. For example, it takes about an hour to get from Lake Manyara to Tarangire National Park. 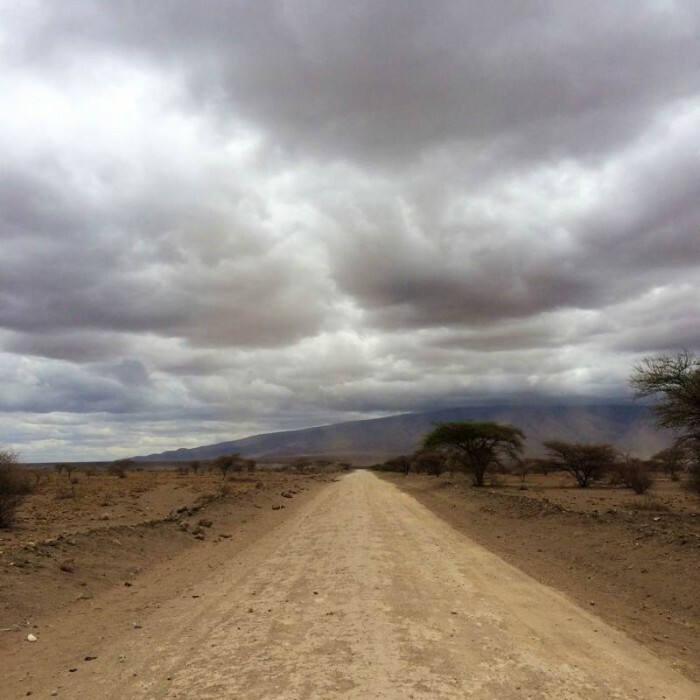 However, the longest journey – from Lake Natron to the Northern Serengeti area – took us about 7 hours. Of course, it makes sense to prepare yourself well in advance, but it is also very convenient to buy some necessities right before your safari. In Arusha, where most of the tours start, you will find a big supermarket stocked with everything you might need on the road. In this post, I’ll give you some hints on what to prepare in advance and what to buy right before your journey. 1. Solar battery. Regardless of what time of year you’re traveling, it’s Africa, and the daytime heat provides the perfect opportunity to charge your batteries. This is important, since not all campsites provide good options for charging. For instance, none of the chargers worked in the Natron Lake campsite, so daily sunlight was essential for charging our phones and cameras. 2. Portable charger: small, medium and large. This really is a must-have item. Believe me, you won’t like to end up in a situation where all your camera batteries die right in front of mating lions. 3. Portable bluetooth speaker. Since driving can take several hours, it’s always nicer to have some music on board to enhance the amazing landscapes you’re marveling at through the car window. Just don’t forget to prepare your playlist in advance! 4. Protein and energy snacks (nuts, seeds, berries, protein and energy bars). Of course, your safari operator will take care of you and a cook will make sure you’re not starving. But usually, it’s only three meals a day. Your lunch will often be just a few sandwiches with a couple of snacks, which means you might get hungry long before dinner. On the road, it’s always good to have some snacks. We had a big pack of nuts, seeds and berries together with protein and energy bars. You can buy some of these at the supermarket in Arusha, but don’t expect to get any quality protein and energy bars. Instead, I recommend bringing some in advance. Don’t forget to bring enough to share with your driver and cook. 5. Antibacterial spray. Well, this is a must! The roads are extremely dusty, meaning that your face and hands will get dirty pretty fast. Always have your spray with you! 6. Antibacterial wipes. Sometimes, it’s just easier to use a wet wipe than a spray. 7. Hygiene wipes. On the road the toilet is usually behind your car, so making sure that you bring enough quality wet wipes is essential. 8. Inflatable neck pillow. The daily safari excursion usually starts at about 5 am, which means that the afternoon, when you’re driving from one park to another, is the perfect chance to take a much-needed nap. And your nap will be much more comfortable with a handy neck pillow. 9. Cotton earloop face mask. The roads in Tanzania are unbelievably dusty, especially if you are driving with an open window, which you’ll want to do in order to beat the heat. In just a couple of hours, you’ll have dust everywhere – on your neck and in your nose, ears and eyes. So if you have a cotton face mask, you will be happier, cleaner, and your journey will be much more satisfying! 9. Hair ties and hair pins (for girls). Having long hair is an unfortunate disadvantage when you’re on a safari tour. Most likely, there won’t be hot showers and you likely won’t have conditioner. As a minimum, you can use your ties and pins to fix your hair and get it out of the way while driving. 11. Motion sickness gum and pills. If you have some problems with motion sickness, it’s a great idea to bring some gummies, or even pills. However, as the latter can sometimes make you sleepy, I personally prefer gummies. If you don’t like gummies or pills, you can try some drops or wristband! 12. Sweets and small presents for people. On the road in Tanzania, you’ll come across lots of small villages and meet many people, especially women and kids. Most of them will ask you for money. Well, you don’t have to give them anything, but sometimes it’s nice to have some small sweets for children. 13. Reading stuff. It’s technically possible to read on the road, but it’s not comfy at all since the roads are very bumpy and you might end up with motion sickness. Still, it makes sense to prepare yourself by packing an audio book! 1. Alcohol and other beverages. Most safari operators provide you with tea, coffee and water only. If you want to chill out with a beer or wine during your dinner, it’s better to buy it beforehand. Of course, at some camps you can find a local store with beverages and snacks, but the choice is very limited and it’s always overpriced. 3. Toilet paper, shower gel, shampoo, and soap. 4. Washing powder, rope and pins. If your journey is more than 4-5 days, it makes sense to wash your clothes. A rope and pins are very helpful in getting things dry quickly. 5. Power adaptor. There’s no need to carry it all the way to Tanzania from your country, since you can buy one right before you embark on the safari. 6. Snacks, nuts, seeds and berries. 7. Filling for a bean bag. If you use a significant zoom, you’ll need something to hold it steady when shooting from a vehicle. A bean bag is perfect for this. You’ll need about 2-3 kilos of beans or corn seeds to fill it in. Tanzania is an amazing and awe-inspiring country. You’ll see lots of breathtaking landscapes, so be sure to make your journey more comfortable and enjoy each moment!